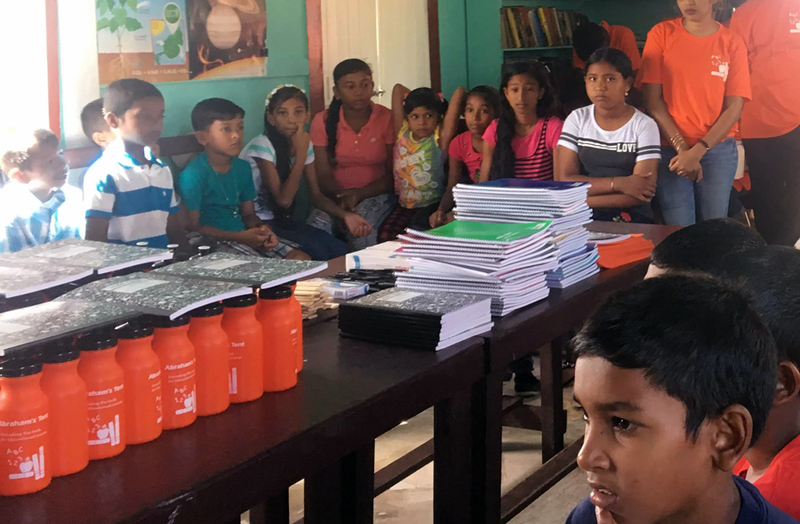 Abraham’s Tent will offer 5 high school students $40,000 GYD each for books, supplies, and transportation in order to attend the Upper Corentyne Industrial Training Centre in September 2019. The award winners will be chosen based on recommendations from their teachers. Our uniform and school supplies giveaway on Dec 1, 2018, was a tremendous success. 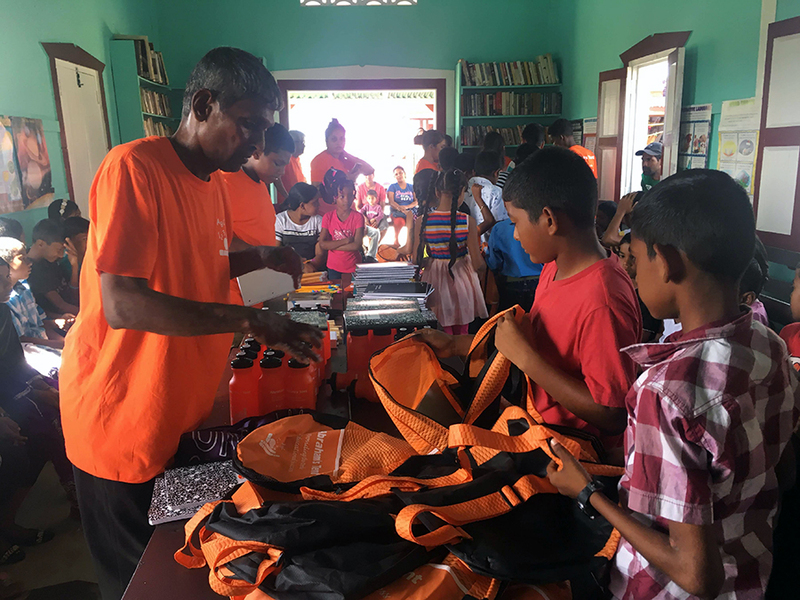 Over 50 children received uniforms, backpacks, pencils, notebooks, water bottles and other school supplies. All attendees were treated to refreshments and snacks. The children expressed their gratitude with a moving speech at the end of the formalities. Our 2019 School Year is off to a tremendous start with more than 30 additional students enrolled. We look forward to working toward topping last year’s results and both staff and students are facing the new year with excitement and high hopes! We have suspended classes for students who are writing the CXC exams due to low turnout and are now concentrating on expanding the existing classes and starting Computer Literacy, Media Tutoring and Sustainable Agriculture Techniques Classes. We will continue to do whatever we can to ensure that children in the community are not staying away from school because of a lack of resources. Among our Class of 2018, we had four students who came to us at the beginning of the school year scheduled to take the GSAT exams, but unable to read. Neither their regular teacher not their parents felt that they would ever be able to attend High School. With the dedication of our teachers and the individual attention paid to each of these students, the results surprised everyone – they all did well enough to be admitted to High School. Congratulations to these students and all those who were part of this tremendous achievement! The students of Abraham's Tent who sat the Grade Six Assessment Test were very successful, with most of them gaining admission to top high schools. In fact, the ten students of Massiah Gov't School with the highest scores are all students at Abraham's Tent! Quite an accomplishment indeed. Congratulations to all the students and their teachers, Sir Rashid and Ms Devi. Our 2018 GSAT class size has increased to 25 students and we also have an additional 11 who are getting more personalized attention. An experienced teacher, Mr Rashid Ramatali, has joined our staff and this has proven to be a big plus for our organization. The results for the GSAT Practice Tests have been encouraging with most of the students showing remarkable improvement. We are now able to have two classes run concurrently during the week. The younger students are being tutored by Miss Devi. The CXC class has a registration of 25 students with Sir Deepak and Sir Amzan doing a tremendous job. Beginning this year (2018), we will be establishing a scholarship of $1,000.00 per annum provided by an anonymous donor who was a former student and teacher of Skeldon Linepath High School. This scholarship will be awarded to a qualified student who wants to pursue advanced studies in a vocational or technical fields at the Georgetown or New Amsterdam Technical Institute. CXC Exam Results Are Out.. The 2017 CXC results are out and the students of Abraham's Tent have performed exceedingly well with a 100% pass rate in the five subjects taught. All nineteen students secured passes in Math, International Sciences and Human and Social Biology with a total of 13 grade ones and 22 grade twos. Eleven of these students also passed Biology with 2 grade ones and 4 grade twos and nine secured passes in Chemistry with 1 grade one and 2 grade twos. Congratulations to all the students and teachers for this remarkable achievement and especially to students Melinda Singh and Safrana Hussain for securing 4 grade ones and 1 grade 2 each. They also did extremely well in the other subjects they took. Six students sat the Grade Six Achievement Tests (for admittance to the best high schools in the country) with two securing places in recognized schools and the other four gaining admittance to local high schools. Currently most of the younger students attending lessons for GSAT are not reading at grade level so we are focusing our resources in providing individual attention to these students. We are also looking for volunteers to assist the students preparing to take GSAT. If you are interested click HERE and send us a message. Our 2017-2018 school year is off to a great start. From this year, CXC students will also be receiving tutoring in English at the CXC level.